With the Tampa Bay Lightning playing game one of the Stanely Cup Finals tomorrow night here on home ice in Tampa, it reminds me of the last time they made it this far: the 2004 Stanely Cup Finals. I was fortunate enough to go to one of the games (Game 5) to see a Finals game in person. I went to Game Five with my dear friend Rand. He had tickets to Game Five (guaranteed to see the game) and Game Seven (only goes to 7 if needed) and he offered to take me to one and Love to another, our choice. I picked game 5 because I just had a feeling it was going to 7 and I wanted the two of them to get to go to a game together. It did, they did and Love got to actually see the Lightning win the Cup in a game 7 on home ice. Experiences like that are priceless. 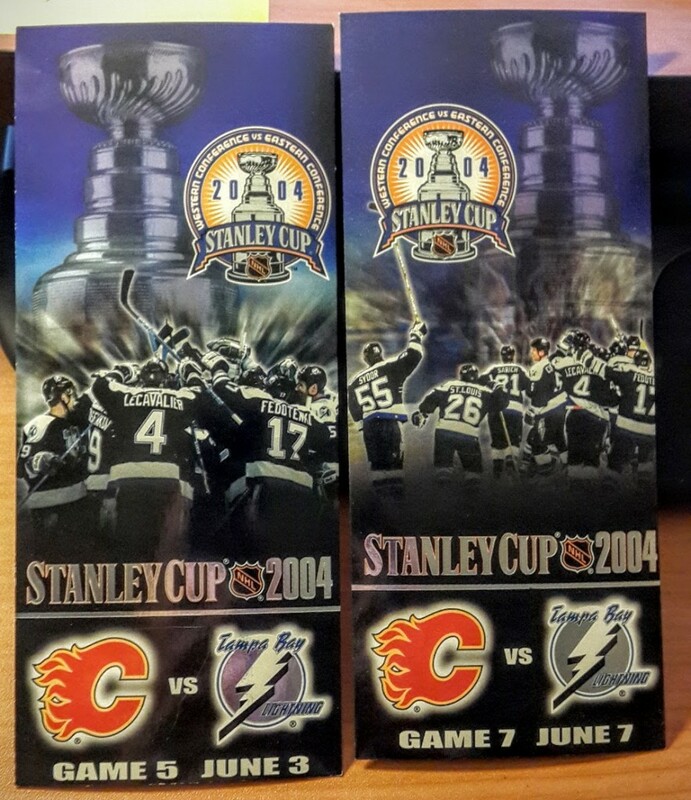 2004 Stanley Cup Finals NHL Tampa Bay Lightning Game 5 and Game 7 tickets, Calgary Flames at Tampa Bay Lightning. Let’s hope Lightning strikes twice and we can bring the Cup home to Tampa again this year! Go Bolts!